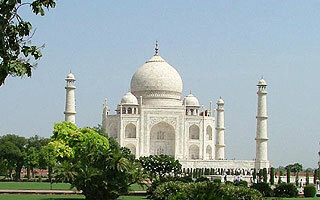 Golden Triangle Tour India is the most famous and variedly visited sector by the tourists. It covers the marvellous cities of North India including the capital city of country Delhi, city of monument of love-The Taj Mahal & Jaipur. 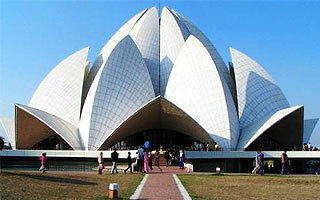 The tour is perfect blend of old and modern India, highlighting rich culture and heritage of India. You will visit some of the very best and distinct sites which will make you spellbound with their magnificent beauty and attractiveness. You can also get an opportunity to experience the real culture of India. Morning after breakfast drive to Agra. Heritage Monuments Visit with Government Approved Guide: Fatehpur Sikri (Agra) On arrival Jaipur check-in into at hotel After freshen up proceed for local market of Jaipur SHOPPING ALERT: Royal elegance of Jaipur jewelry is amazing designs and the crown of Jaipur shopping fiesta. Statutory Warning - Bargain to get the best offers, and get bill with originality certificate for your purchase. Open Lawn Dinner with folk music and dance (Optional).